The NCPD is asking for help in identifying a man who inappropriately touched a woman in Bethpage. Bethpace, NY - Nov. 13, 2013 - Crime Stoppers and the Nassau County Police Department are seeking the public’s help with identifying, and locating the unknown subject pictured in the above composite sketch. The subject is wanted in connection with a Forcible Touching case that occurred in Bethpage, New York. On Monday November 4th, 2013 at approximately 9:20 PM in the vicinity of Stewart Ave and Williams St Bethpage the unknown subject pictured above approached a 45 year old female victim walking to her car from the 7-11 store. The subject asked the victim for a light, then asked for a ride, exposed himself, and then grabbed the victim’s breasts before fleeing down Williams Street. 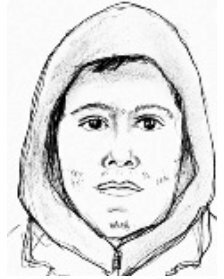 SUBJECT DESCRIPTION- male white, 23-28 years of age, 5’6”-5’8” tall, slim build, light complexion, brown eyes, dark hair, brown decaying teeth, wearing a grey hooded sweatshirt. Crime Stoppers is asking anyone who has any information about the identity, or location of this subject to contact us at our toll free hotline: 1-800-244-TIPS (8477). Subject: LongIsland.com - Your Name sent you Article details of "NCPD: Crime Stoppers Seeking Subject in Forcible Touching Case"